Megan Runion // For All Things Lovely: Bip & Bop Giveaway! Okay, so I couldn't be more excited to share today's giveaway with you--Bip & Bop is giving away a $50 giftcard to one lucky For All Things Lovely winner! Bip & Bop's jewelry is perfect for everyday layering and unbelievably dainty and stylish. You probably noticed my "xo" necklace in this post that I'm absolutely obsessed with. 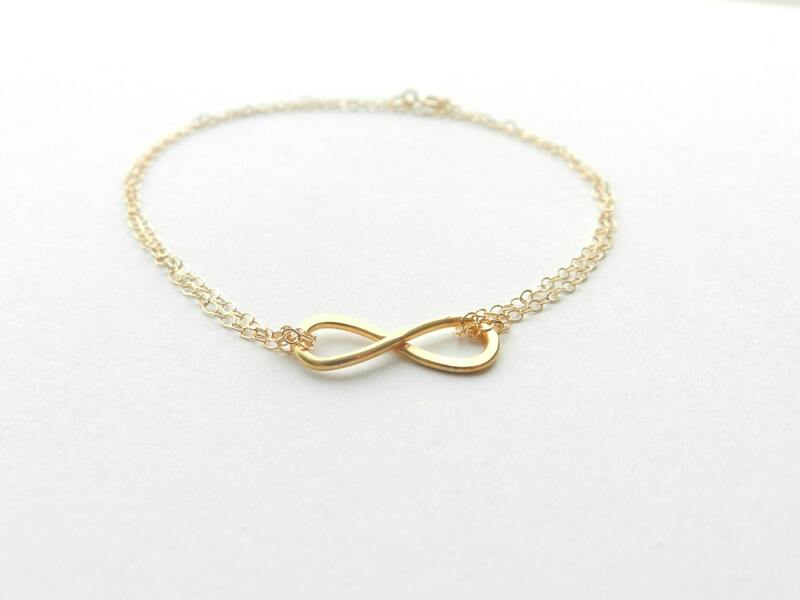 I also have this sweet, little infinity bracelet and I'm sure you'll be seeing a lot more of both in future posts! 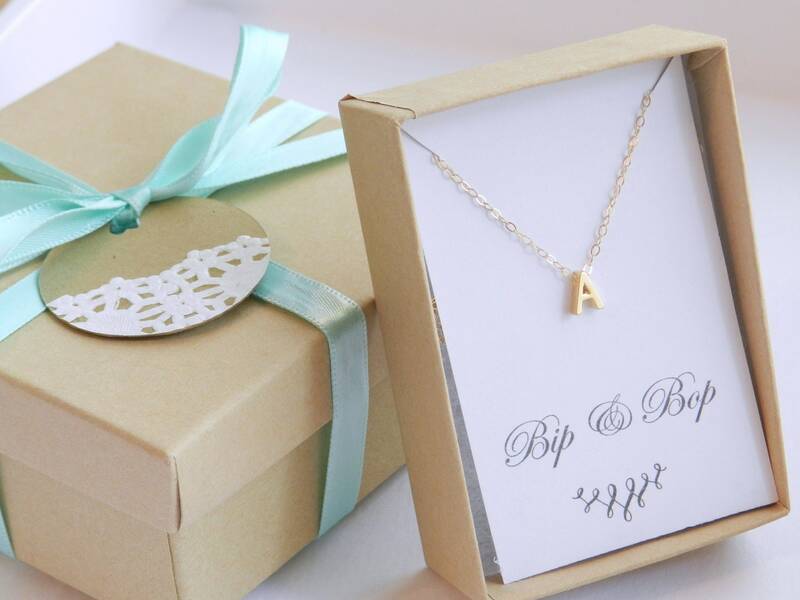 Bip & Bop is also offering 15% off your order with code MEGAN15. The giveaway will run through Monday, March 11th and the winner will be announced on Tuesday's blog post! Cute stuff! I love supporting people on Etsy! P.S. I follow Bip and Bop on Instagram, and "like" them on Facebook. Hope thats what you meant by "completed entry"! I like Bip & Bop on Facebook! I have started following them on instagram! I love all of their link bracelets! I also follow you through google! I am not following on Instagram! I liked Bip and Bop on Facebook ( I can't get enough of that infinity bracelet!). I followed them on instagram! 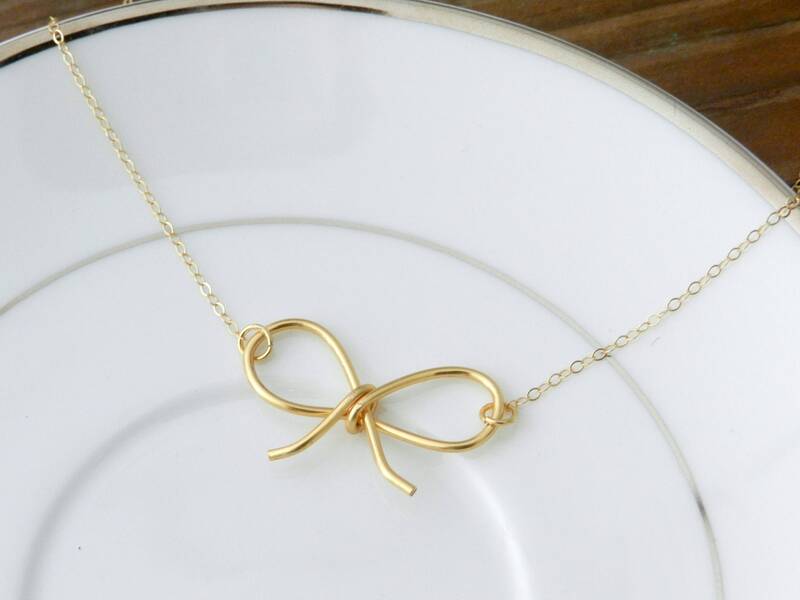 that bow necklace is adorable!! Also, like them and follow you lovely! gorgeous items! i like them on facebook! I liked B&B on facebook! I'm following on instagram too (seabattle2)! I liked Bip and Bop on Facebook. I liked Bip & Bop on FB! I followed them on Instagram as well! I liked Bip & Bop on Facebook! Love Love this stuff and and keeping my fingers crossed! I 'Liked' and commented on their FB and follow on instagram! This looks like a great giveaway! I also followed Bip & Bop on Instagram! How fun, love bip and bop! I now follow Bip & Bop on Instagram! I follow B&B on IG! I liked Bip & Bop on FB. I follow your blog, I liked Bip and Bop on Facebook, I am following Bip and Bop on Instagram! I follow you, liked them on facebook and instagram! following you...like bip&bop on facebook and instagram! I am following you, liked them on facebook and on instagram (katieflan1289). So cute and thanks! I am following you, liked bip and bop on facebook, and instagram (katieflan1289)! So cute and thank you!! I am following you and also liked Bip and Bop on Facebook. Very cute. Thanks!!! I am following Bip & Bop on instagram! I already have followed you via email and GFC! I follow you on google friend connect- love your blog and bipandbop! I'm following Bip and Bop on Instagram. Following Bip and Bop on Instagram! Also liked Bip and Bop on Facebook. Love these necklaces Megan! Hope I win! I liked Bip and Bop on fb! Oooh I love love love their jewelry!! I follow you on GFC. Love your blog! Liked Bip and Bop on Facebook (go for the glam)! Their necklaces are SO cute! I'm a follower. I liked bip bop on FB! I also am following them on instagram! I follow you by GFC (Allie Gunter)! i liked Bip & Bop on facebook. i wanted to leave a comment saying thank you for the opportunity to win these adorable pieces. *Liked Bip & Bop on Facebook. I loooove them! I follow them using Instagram, too! I have liked and commented! love this amazing give away !!!! I have commented and liked!! This give away is amazing!!!! I am following Bip & Bop on instagram!! Thanks you so much for the opportunity to win this!! That necklace is too cute!! Would love this! Liked on FB and now following on instagram. Thank you! Thanks for this great giveaway, Megan! I've liked Bip and Bop on FB for a while and am following them on IG too. Thanks for the giveaway!! Follow you on GFC! Liked Bip and Bop on Facebook! I follow you on GFC. LOVE Bip & Bop!! I like Bip & Bop on facebook already. I follow Bip and Bop on Facebook! eeeek! I'm always a shop-a-holic for adorable jewelry! Thanks for introducing me to Bip & Bop! Done! Following both "For all things lovely" and "Bip and Bop" on dv & instagram! Such beautiful accessories and great for spring! Done! Following both "For all things lovely" & "Bip and Bop" on both FB & Instagram. (user:Amyleep86). All these beautiful accessories are great for spring! Megan thank you so much for teaming up for such a great giveaway! I love LOVE this jewelry and will be buying some whether I win the giveaway or not! So lovely! I'm know following Bip and Bop on Facebook (and etsy)!